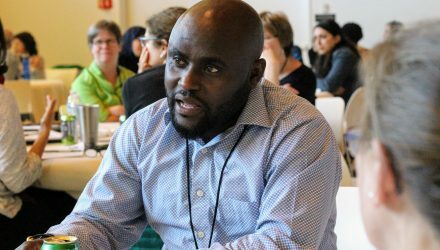 "Building Together," a recent School for Social Work conference, brought together local service providers who currently or will soon engage with immigrant and refugee populations. The event was made possible by one of President Kathleen McCartney's Innovation Challenge grants. The Art of Women’s Stories A New Look at the Old Boater Hat Can Citizen Scientists Save Us? 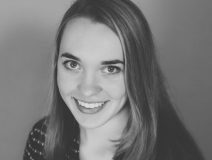 In an interview with Ms. magazine's blog, Brittany Collins ’19 discusses the triumphs and challenges of editing Voices and Visions, a literary journal based out of Smith’s Kahn Liberal Arts Institute. 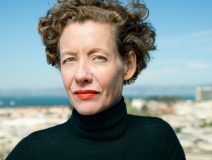 She says, "A fundamental belief in the ethos of women’s education grounds our editorial work, as well as a conviction that all women—indeed, their voices and visions—are vital to our local and global communities." 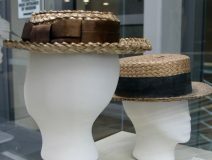 The evolution of the boater hat is the focus of “From the River to the Runway,” a multidisciplinary project by Cora Grant ’19, Kelly Pien ’20 and Muriel Brunet ’17. Using hats from the Smith Historic Clothing Collection, along with visual analytics by R. Jordan Crouser ’08, visiting assistant professor in statistical and data sciences, the students examine how and why women made the boater hat their own over time. Mary Ellen Hannibal ’81 hopes all of us will one day become citizen scientists. In her Stanford TEDx talk, she explores the alarming findings of research on extinction and shows how each of us can contribute to saving endangered plants and animals, one iPhone app and observation at a time. Hannibal, a science and culture writer, is the author of Citizen Scientist: Searching for Heroes and Hope in an Age of Extinction. Neilson Library is Smith's intellectual heart. As the college begins a major renovation of Neilson—led by architectural designer Maya Lin—The Smith Fund is launching "The Heart of Smith" fundraising campaign. Give today and your donation will help secure a $100,000 challenge gift from Cornelia Mendenhall Small ’66. This matching gift challenge ends at 4 p.m. Eastern time on Friday, June 16. Dorothy Moss ’95 curates a new Sylvia Plath ’55 exhibition at the Smithsonian; Renata Glowacka Bushko ’86 predicts how artificial intelligence will revolutionize health care; Oprah Winfrey shares some advice with the class of 2017. Get a jump on all the great news and stories from the Smith community in the latest issue of the Smith Alumnae Quarterly. Representatives of American cities, states and organizations are preparing to submit a plan to the United Nations pledging to meet the United States’ greenhouse gas emissions targets under the Paris climate accord. Smith College President Kathleen McCartney is among the college and university leaders who have committed to the plan.